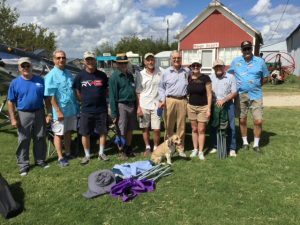 We had a number of chapter members attend the Ranger Airfield Fly-In on 6 October. 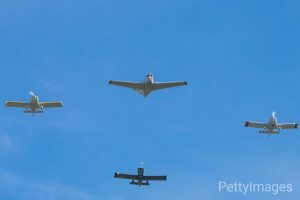 Damon Berry led a 4-ship flyover with Bill Eslick, Ed Askins, and Marty Parrish on arrival at Ranger. And on the way back home Saturday afternoon, they flew over the Texas Music Reunion Festival on the banks of the Brazos near Nemo, TX. The timing couldn’t have worked out better at the festival, as the singer-songwriter on stage was in the middle of a very patriotic song about his 84 year old dad who served in the Marines in Korea. Pretty cool.